Railcraft's boilers are awesome, but sometimes you can't get the right sized boiler you need. 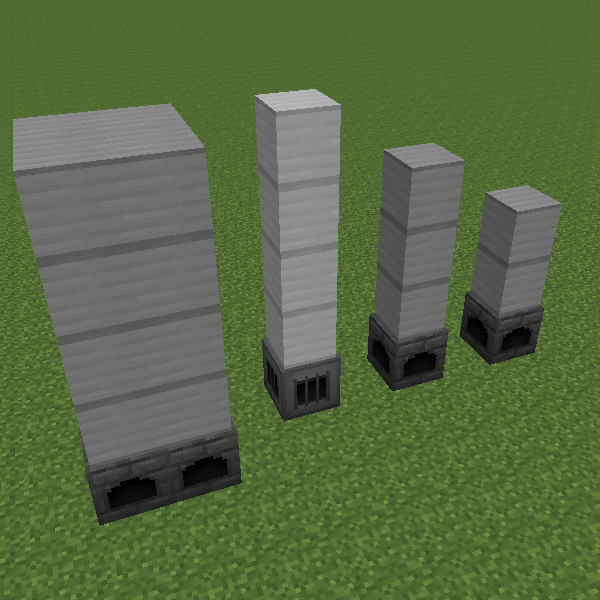 So this mod lets you add custom sizes to Railcraft's boilers. This has been tested with Railcraft 9.5.0.0 but it should work with older versions. Custom sizes are set via the mod's config file. By default, 1x2x1, 1x3x1, 1x4x1 and 2x4x2 are added as custom sizes. The source code for this can be found on my GitHub account. Do you have any issues with this mod being used in public mod packs? Does this work with the most recent version of Forge/Railcraft? Hi there, sorry for not responding sooner I was out of the country. I have no issue with you using my mod in your pack, go wild. There shouldn't be any issue with Railcraft builds newer than 9.5.0.0 since it's unlikely CovertJaguar did anything to boilers. Forge shouldn't be an issue either since this mod doesn't use the updated Fluid API.